Qualifies for 100% Financing w/ USDA RURAL DEVELOPMENT!! Completely remodeled, 3 bed 2 bath with 2 Living Areas [or game room!] All nestled away on 10 acres! 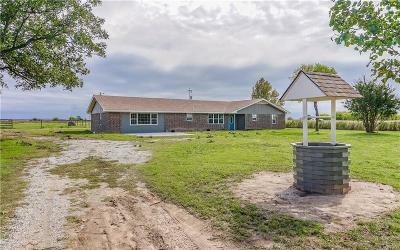 [additional 10 acres available] Pipe Fence ready for some horses or a few cows! 20/30 Min from Pauls Valley, Purcell, Ada. 45 Min From Norman!